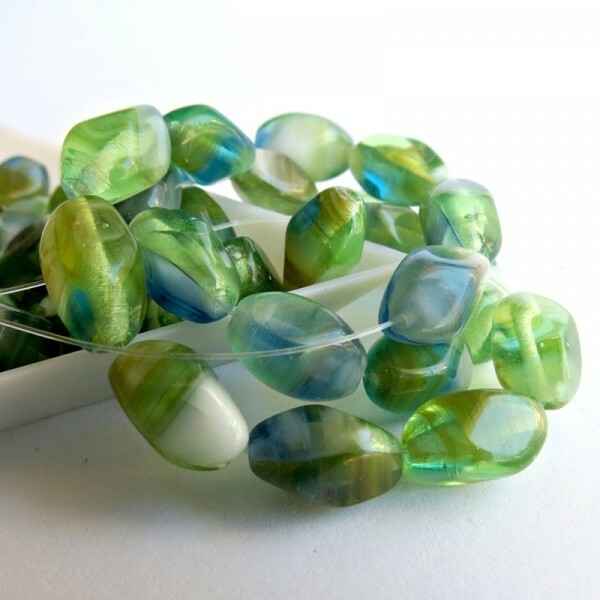 Czech Glass Pressed Beads, Twisted Oval, Sea Green, 11х7 mm, 20 pcs. 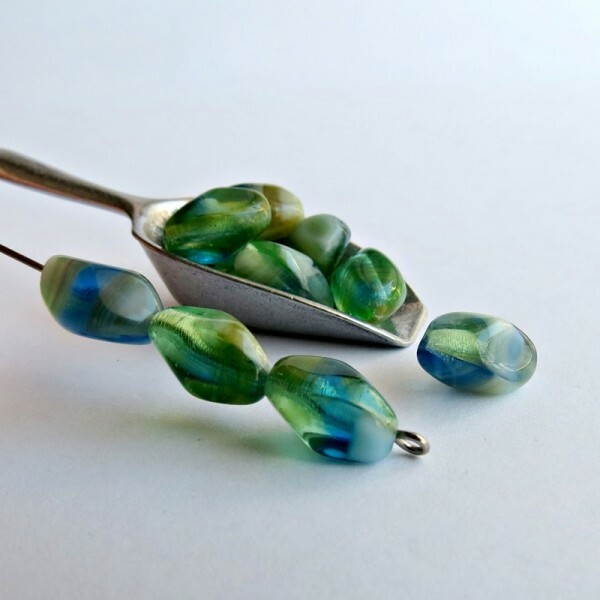 > Pressed beads>Fantasy>Czech Glass Pressed Beads, Twisted Oval, Sea Green, 11х7 mm, 20 pcs. 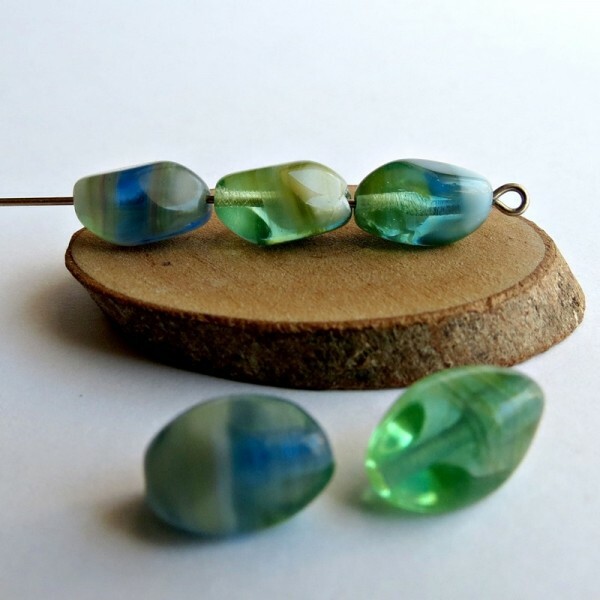 Color - gorgeous opaque and opal marbled green, light blue and opaque white. 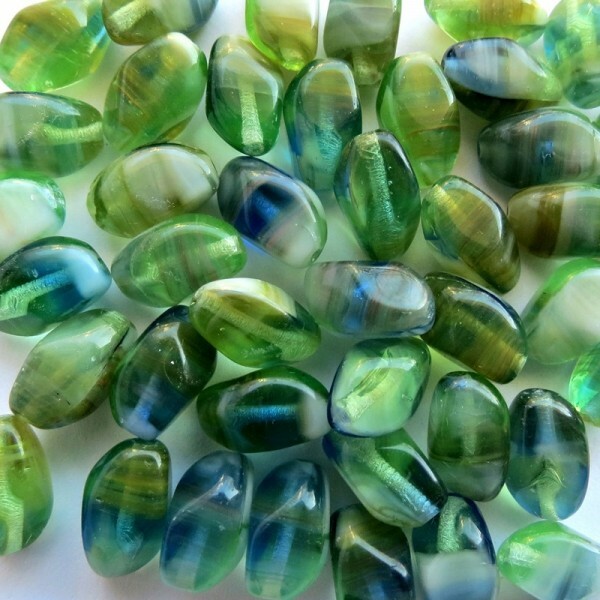 Every bead has its own pattern.